Total approx dimension 130 sq m. Sleeps at least 2, at most 4. Non smoking. Large room that occupies the entire 5th floor. 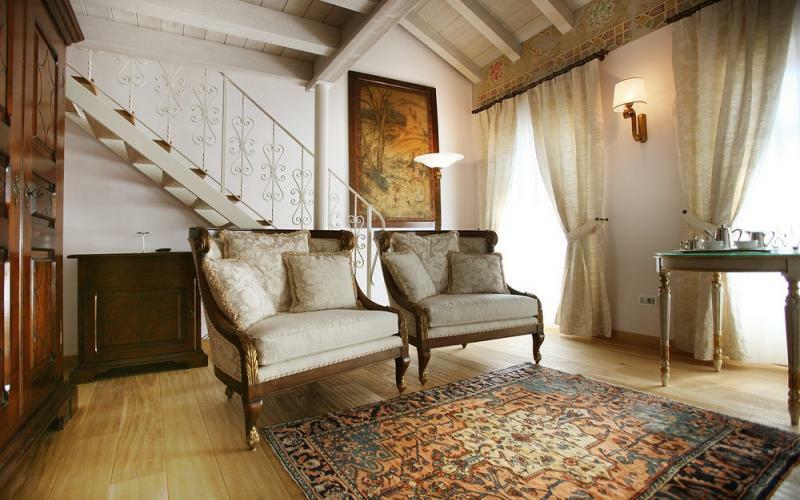 Total approximately dimension 130 sq m. Living room with big armchairs. 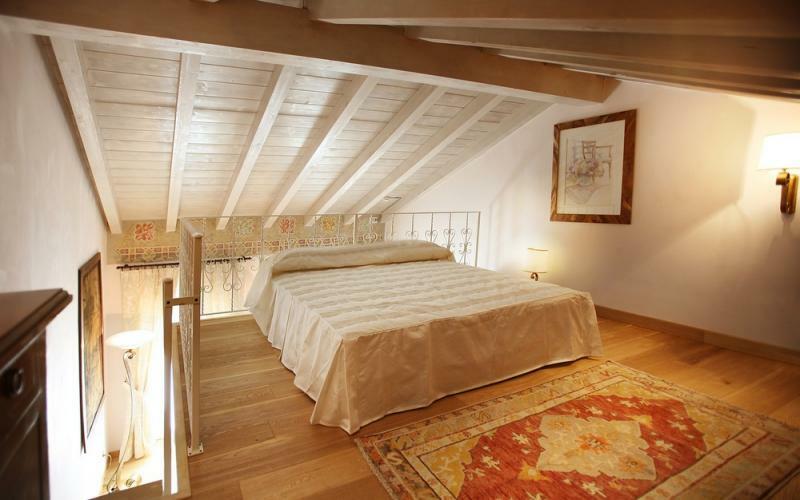 The upper loft floor has a bedroom with a king size bed. 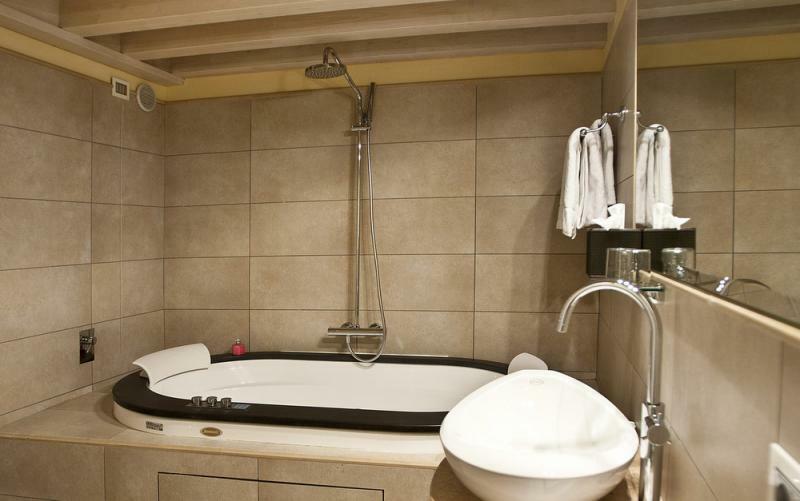 Close to the living room the bath room is situated dotated with double Jacuzzi bath. 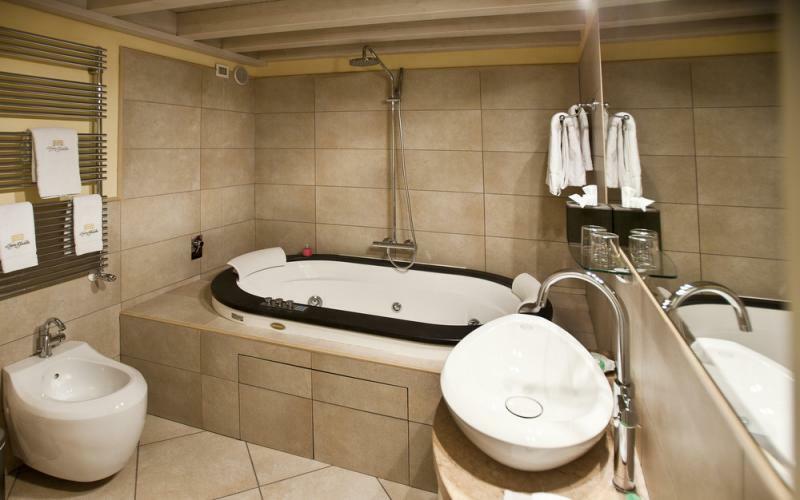 On the other side of the room there is another bedroom connected to another bath room with double Jacuzzi bath tub. 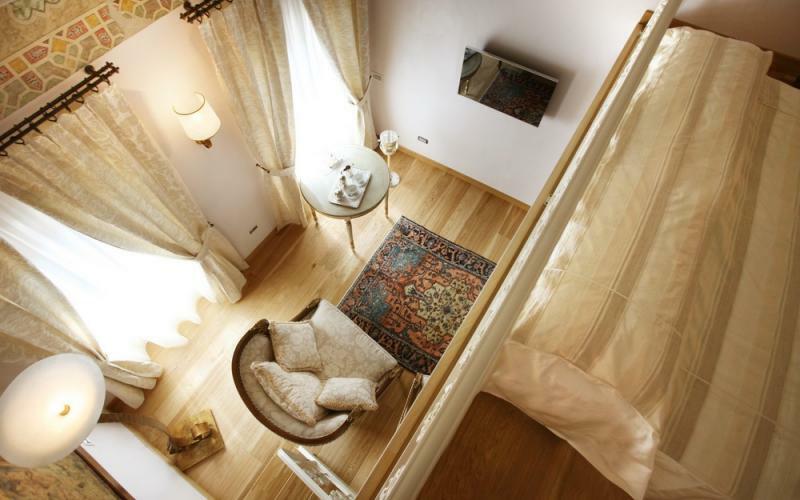 The room has balconies facing Via Cappello and Piazza delle Erbe. Parquet floor, LCD TV, minibar, safe, free wi fi connection.